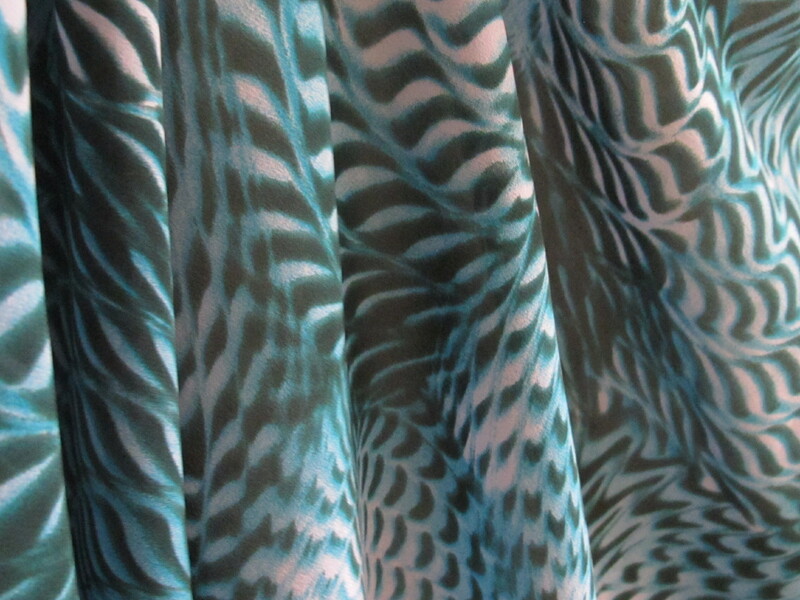 No surprises that I have a fondness for lovely little silks and here’s another one. Again, it’s a silk georgette/lycra straight from the garment district in the city that never sleeps. 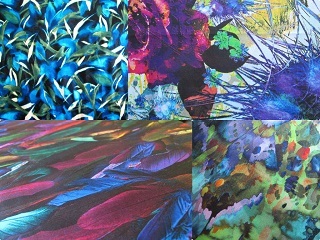 The properties of this silk are very similar to the floral silk/georgette I have just listed below this one. It has that lovely silky crepe feel and it is fantastically bouncy and fluid thanks to the georgette weave and the lycra component. Fantastic for wearing ease too. 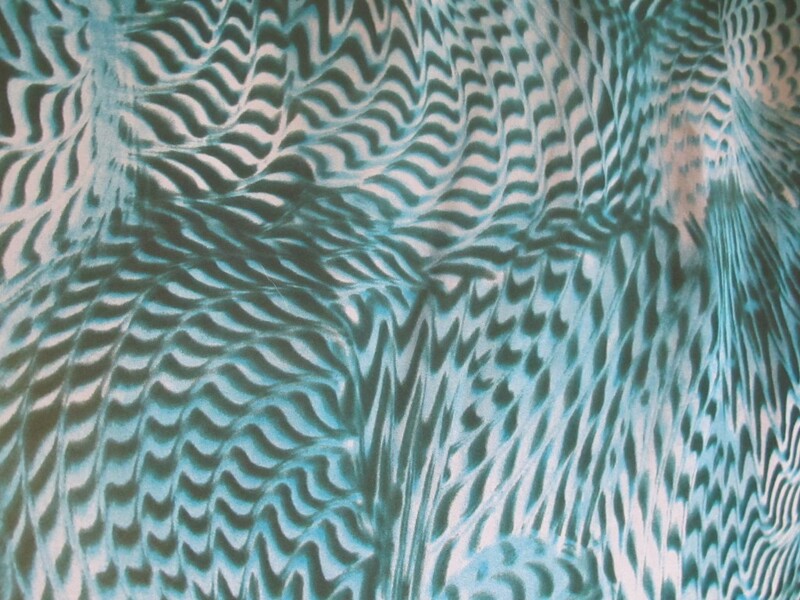 There’s a spectrum of blues in this print from peacock and teals in the deeper part of the spectrum to the milky pale blue at the opposite end. The graphic is this feathery swirl. Possibly there is an animal print influence in the design but I think the deft hand of a creative barista who crafts coffee trails in frothy milk is in evidence. 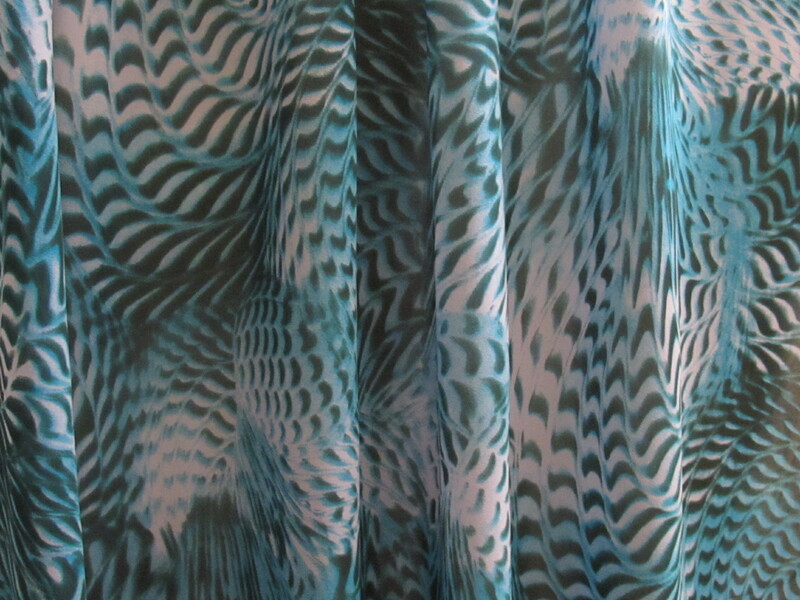 This fabric has a width of 110cm and the length is 2.6 metres. That is enough length for any possibility of tops and you could cut a dress from it too if you were so minded. The fabric price is $23 a metre/ $59.80. I can send this fabric in a small satchel for $8.25.